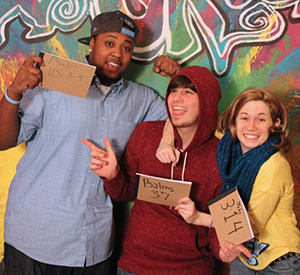 Would you like to have access to the world 24/7 to tell them about Jesus? To have HD television cameras, cutting edge audio equipment and Apple computers with professional editing software at your fingers every day? A chance to let your creativity run wild AND have people encouraging you to do it every step of the way? Sounds like you’re ready to go NOW. Nothing is off-limits for the students of the School of Media. broadcasting from writing to producing to production to editing to hosting. 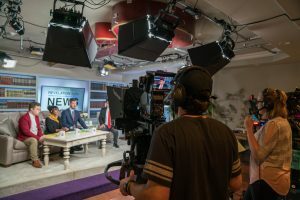 Here at the Morningside School ofMedia, students learn the skills to work for Christian television stations around the world…or blaze their own trail in a television ministry of their own! 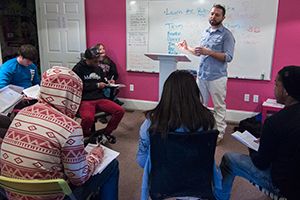 Students in our school will have daily classes on every aspect of television broadcasting from teachers who are well experienced in both secular and Christian broadcasting. 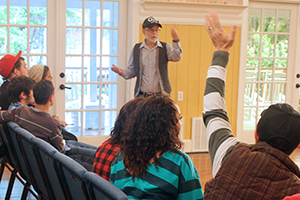 In addition, students will be receiving hands-on training as part of the production team for the worldwide Jim Bakker Show television ministry and PTL Television Network. It’s more than just television. It’s also a chance to find yourself in a Christian environment where the staff is concerned with your development into the man or woman of God that you’re called to be. You will be living with other young men and women working in the same direction as you. Together you will grow as iron sharpens iron. You will be part of classes that expand your knowledge of the Word, sharing Him through your lives and media and stepping into leadership in the world. You will receive an in-depth education in the Book of Revelation to prepare you for the time to come. Students will also have the opportunity to learn the keys to their craft directly from Jim Bakker, a man who blazed the trail for today’s Christian television broadcasting including having the first worldwide Christian television satellite network. They will learn first hand to not be ashamed of small beginnings when they learn of the humble beginnings of the PTL Club, Heritage USA and the new Jim Bakker Show. The students will also get the first hand knowledge from Lori Bakker who had her entire world transformed through Master’s Commission and seeking God in every aspect of her life. A woman who came through the horrors of abortion and drug abuse to be a strong voice for living every day appreciating the blessing of life that God has given to us. Plus you will get instruction and teaching from evangelists and prophets who come to Morningside to be a part of the Jim Bakker Show. Engage in worship with world renowned musicians. You will get the chance to learn and grow on an intimate level that some people will never gain! You may run camera, edit, direct or even produce your own television programs that will be broadcast live through our networking. You may choose to build a website, learn administrative skills, minister on television, go into high schools or go on ministry trips to foreign countries. You could preach, sing and pray for people – it is up to you! Whatever you choose, you will learn by doing. You can go as far and learn as much as your calling and desire will take you! Your attitude will determine your altitude, or how far you can go in life! Are you ready to impact the world in ways that no one else has done before you? Then you’re ready for the Morningside School of Media.